An all-volunteer team of dedicated leaders guides the Springmoor Board of Directors. 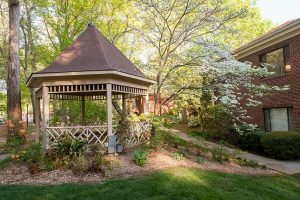 Their life experiences and expertise have helped build a community for many residents over the past three decades. Bruce Ballard, the current President of the Springmoor Board of Directors, was on the job site when the first shovels were breaking ground on the corner of Sawmill and Creedmoor. He and his store employees were here quite often as the walls of Springmoor were being built. Bruce began working at Lowe’s when he was in high school. Raised in Weaverville, a small town west of Asheville, his first summer job was at the Lowe’s Home Improvement store located near the Biltmore House. He attended Asheville-Biltmore College now known at The University of North Carolina at Asheville. With his summer job experience and a college degree in business, he knew that the building industry is what sparked his career interest. 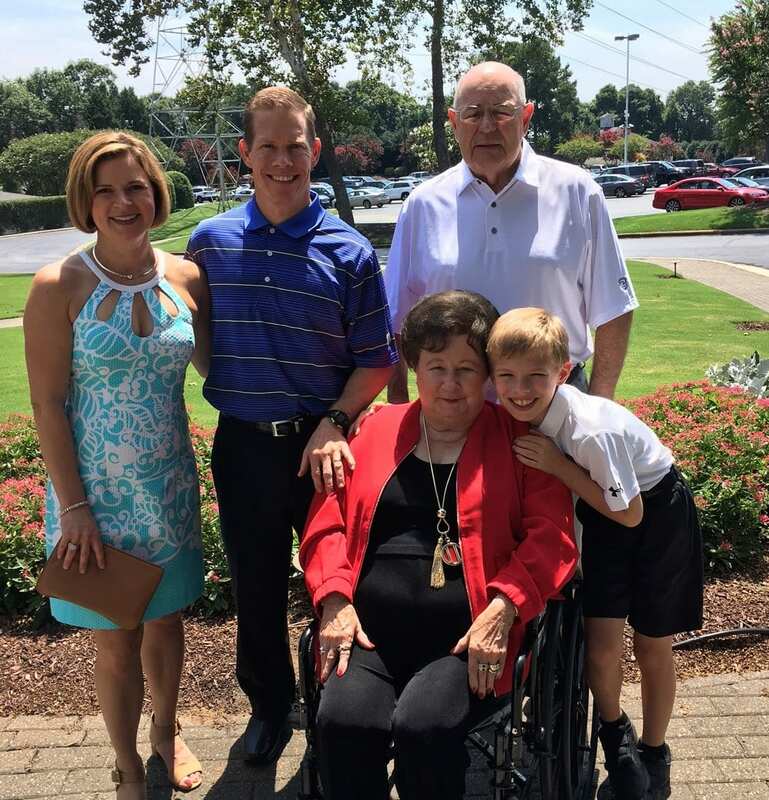 With a move to Wilson, North Carolina to become a Lowe’s store manager, he and his wife, Sue, began their early careers. The two met in the first grade and were married in their senior year of college. Now with two children and a grandson, they have made Raleigh home for many years. Bruce managed the Downtown Boulevard Lowe’s store when he first met the Springmoor team. The Springmoor blue prints were complete and the next step was to purchase the building materials, the appliances and the interior finishes. Making Springmoor look like a home was the most important part of the equation when choosing all of the doors, windows, cabinets and trims. A commercial building has to have fire doors unlike a home you would build for yourself, but the owners were adamant that Springmoor have the look and feel of the home they were leaving and moving to in their retirement years. Finding the six panel commercial doors meant the Bruce had to place a special order for this new style. He remembers requesting the peepholes also be placed lower than normal for these custom-made doors. The trim on the exterior of the buildings had to have a similar look to a residential home too. Placing orders for kitchen cabinets and appliances all came through Bruce’s store too. The orders were large and the home building vendors were more than happy to help as each new alcove, apartment, villa and house became individual homes for over 500 residents. The roof of the buildings was impressive from the ground as well as from above. The desert tan color and style was featured in many builders’ magazines as the largest expanse of a single color for the roofing vendor. While most of their products went to homebuilders building individual homes, the Springmoor site was using it to finish every home and building on the campus. “It was impressive,” Bruce said. As he looks around at the buildings now, he remembers discussing so many of the interior details. The 24” stoves were also custom-made for Springmoor. The small 24” apartment style stoves with only three-burners were not what a resident was going to be accustomed to using so Bruce was tasked with finding a vendor to produce a 24” four-burner stove. The Douglas fir doors and the custom stained cabinetry were all part of what made Springmoor unique. Bruce now leads the Springmoor Board of Directors. The visions the team had in the earliest days continue to evolve as we add larger stoves, built-in microwaves, custom quartz countertops and a host of other amenities. 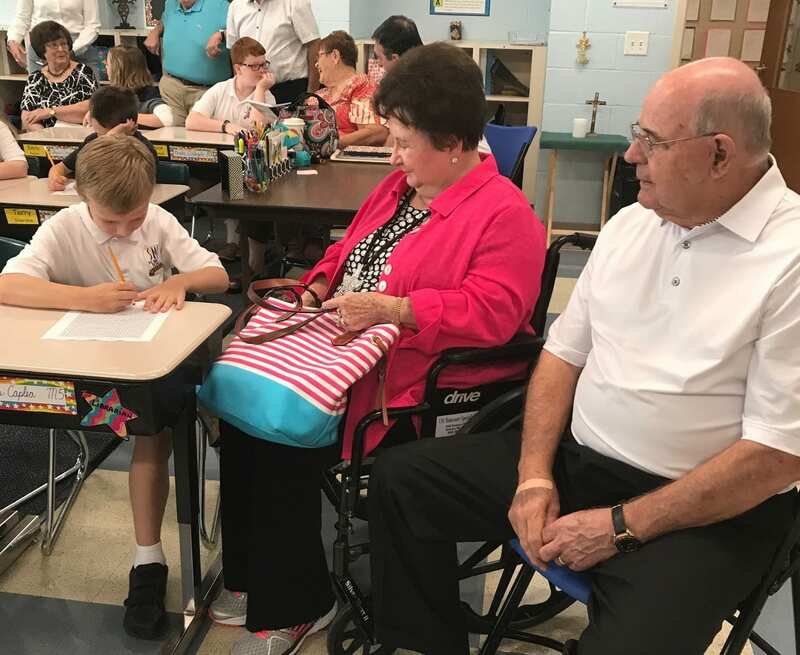 Retired as a regional vice president of Lowe’s Companies Inc., Bruce now fills his time building homes with his ten-year old grandson. 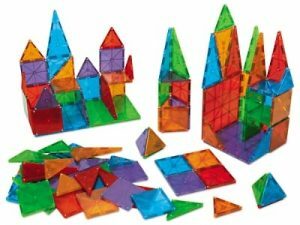 “He loves Magna-Tiles and can build just about anything with these.” He is fascinated with his grandson’s skills and his creativity. Bruce and his wife, Sue, are active in their church, both leading and participating in numerous committees. No surprise, Bruce is on the buildings and grounds committee as well as the finance committee. He finds time for a few rounds of golf each week too. The best part of retirement is working on his golf game! The friends he has known and competed with for years as well as being outside are what make it such a great game to play. The Springmoor vision began years ago when the Sawmill and Creedmoor corner was only a forty-two acre plot of land filled with trees. The beautiful campus it has now become is a success because of the attention to detail. 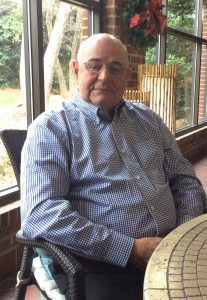 From the custom doors to the extra millwork, Bruce Ballard helped build a community that he now leads into the next phase with a team of dedicated Springmoor Board of Directors. If you would like to know more about the history of our community or schedule a tour, please call 919-234-7626. We look forward to showing you our campus.